UNIPORT Admission List-1st, 2nd & 3rd Batch Admission Lists for 2018/2019 Academic Session [UPDATED Version]. 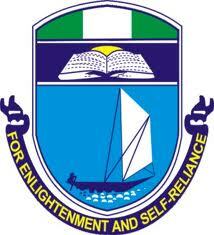 UNIPORT Admission List…University of Port Harcourt, UNIPORT first, second, third, fourth, fifth and final batch admission lists for the 2018/2019 academic session has all been released online. See All The Details Below. Academic Admission List is a list which contains the name of all successful candidates who have been offered provisional admission in the preferred school of their choice after a successful admission screening. The management of the University of Port Harcourt (UNIPORT) has released the first batch, second batch and third batch admission lists that contains the names of candidates offered provisional admission into its various undergraduate programmes for the 2018/2019 academic session. SEE ALSO: UNIPORT Direct Entry Admission List 2018/2019. Successfully admitted candidates should log in to the JAMB website, click on CAPS to check their admission status, and click on accept/reject button to either accept or reject the offer. Admitted candidates who have not accepted their admission on the JAMB website (CAPS) should do so latest by Thursday, October 25, 2018 or the admission will be withdrawn. No candidate can be offered admission EXCEPT O’level result(s) have been successfully uploaded on JAMB website (CAPS). ALL candidates not yet admitted SHOULD therefore upload their O’level result(s) at UNIPORT ICTC or any accredited JAMB CBT center on or before Friday, October 26, 2018. If you need us to help you with more updated information at the right time about UNIPORT Admission List kindly provide us your phone number and email Address in the comment box below. Also, feel free to ask any question any time. What do you think? Was this article UNIPORT Admission List helpful and useful?